WARNING: SPOILERS AHEAD! If you haven’t seen The Zygon Invasion yet, I strongly advise you do so first before reading this. Are we good? Right. Onwards! They genuinely could not have chosen a better episode to air on Halloween! This is the first time in a long time that I’ve been genuinely scared by a story. Yes, there have been elements here and there that have been creepy or suspenseful or whatever, but this is SCARY. So first off, thank you, thank you, THANK YOU to Mr. Peter Harness! Zygons are one of the few monsters of Classic Who that I’ve always thought were scary. Physically, they’re quite intimidating and grotesque and threatening, but their looks don’t always read as scary, per se. It’s what they can do that is truly terrifying. After so many years of hearing the words EXTERMINATE and YOU WILL BE ASSIMILATED, the Daleks and the Cybermen have sort of lost their edge a bit. We’ve seen them so many times over and over that we always have a basic idea of what we can expect from them. That’s not to say that they don’t still surprise us from time to time, but we’ve seen a pretty extensive range of their general ideas and capabilities. But when other Classic era monsters are brought back, like the Daleks and Cybermen, they often gain new abilities or get a bit of a makeover. It’s just that there haven’t been as many appearances by these other old frenemies. That’s what makes getting them back all the more exciting. 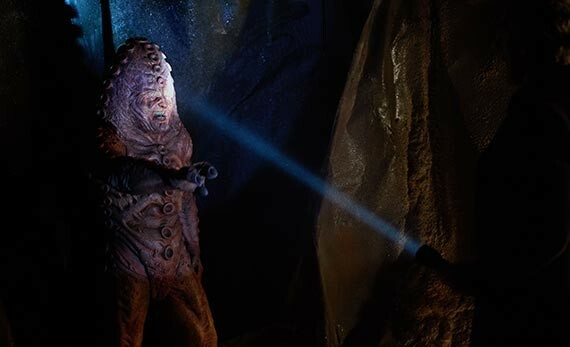 The Zygons are much the same case as the Ice Warriors. They too reappeared on our screens in 2013 as well, and in the 50th Anniversary special, no less. True, they’d been mentioned once or twice beforehand, but this was the first time we’d actually seen a Zygon since 1975. And they were more or less unchanged in appearance and in possession of the same skill set. Their voices were creepy, their shapeshifting abilities scary, their technology is organic, and their attitude was every bit as nasty as before. But we never saw the conclusion to their part of the story. Day of the Doctor was never really about the Zygons. They were just a thing that happened that linked one part of the narrative to another. Kind of a waste, really. Anyway, the surprise in return of the Zygons isn’t just that there are suddenly some nice Zygons (that, you know, could be potentially weaponized at any moment) in the world. They also now have the ability to zap people to death, leaving nothing but an electrically charged pile of ash and hair. I’m not really sure why they felt the need to give them this ability and I’m not hugely convinced by it. I’m even less convinced by the sparking mass of hair they leave behind. Especially when there’s a dumpster full of them. It actually might’ve fit perfectly if they’d brought the Zygons back during the JNT or RTD eras. It looks that ridiculous. Despite these questionable elements, the fear factor is still there for me. 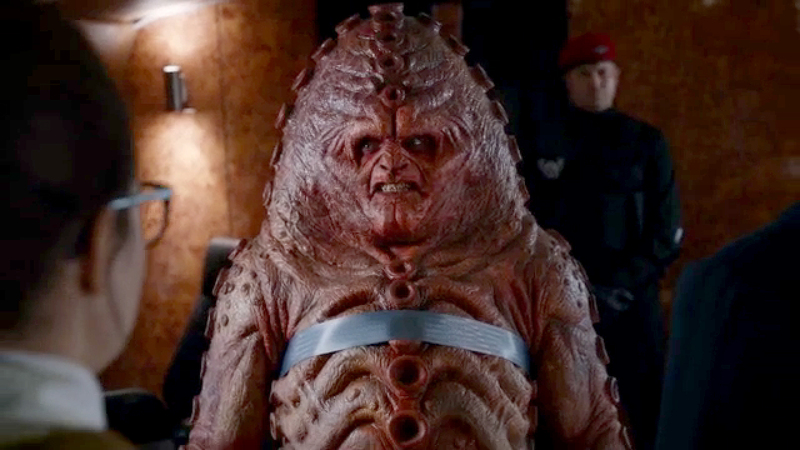 The Zygons are still intimidating. They’re sneaky and ruthless and they play on our most basic emotions. And they did gain one impressive new ability in that they can now pull their images out of our memories. They don’t need to keep the original alive or even have it at all to make a copy. So of course our attempts at attacking them are going to be derailed when they take the forms of our parents or our children. Even if we are 99% sure that it’s a Zygon standing in front of us, the consequences of “What if I’m wrong?” are likely to be enough to stop us. And that is truly terrifying. And as far as the videos the Zygons were making, I was shocked that they chose to go that route but it was certainly effective. Playing on current events is not something Doctor Who does all that often and I think that surprised me more than anything else. We all know where that idea came from and I think we should just leave it at that. Why are the two Osgoods the only duplicates leftover from Day of the Doctor? Maybe it’s just the extra paranoia I’ve developed as a Doctor Who fan, but why isn’t there still a duplicate of Kate Stewart or McGillop? Did they explain that and I just missed it while I was freaking out about something else–like, is that The Moment sitting on the desk in front of them? 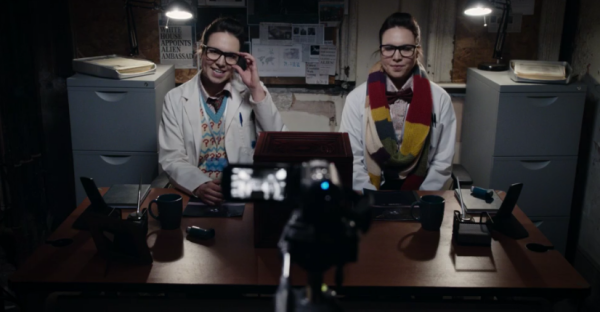 The Osgood Box? Is anyone else saddened by the way they’ve chosen to write Kate? Given the way she started, I wasn’t expecting her to be so feeble and make such stupid decisions. I understand the case for making her more human by having her make mistakes and have foibles like the rest of us, but she’s the Brigadier’s daughter! I simply cannot believe that she could really be such a weak character! What happened to the Kate Stewart that dragged UNIT kicking and screaming into being led by science? Surely that couldn’t have all been Daddy’s doing. And also, why the need to keep trying to kill her off? 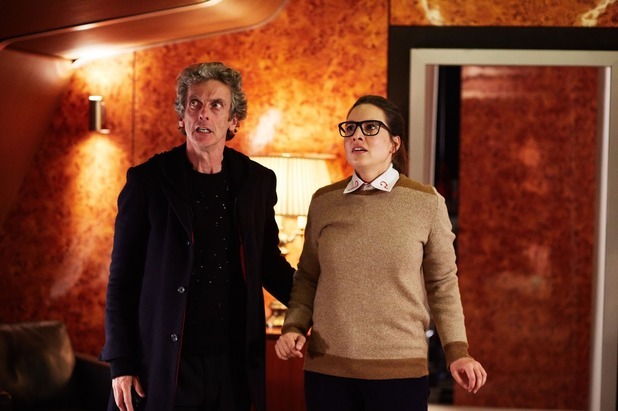 First she gets blown out of a plane and now she’s been zapped by a Zygon? What the hell? I’ve been really looking forward to the new UNIT audios that come out next month, and damn it, I want the tough, sassy, brilliant Kate Lethbridge Stewart I fell in love with! I feel like I should be talking about the Doctor more, but it seems to me he didn’t get to do very much in this yet. Even though so many things happened, this too feels like it was just about moving the pieces around to prepare for the main battle to come in the next episode. Being the Doctor, he’s presumably figuring this all out quietly so that he can save the day (and Clara) next time. 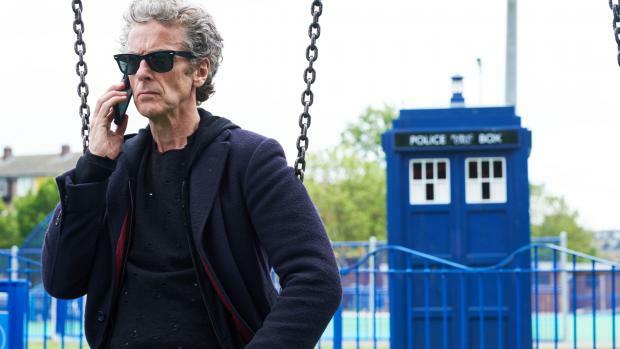 He did manage to chase some kids on a playground and pretend he’s a rockstar getting onto a plane before things got super serious, which is always great. He found Osgood though, so that’s good. Funny though, how he called Osgood a hybrid. That’s two stories in a row now, where we’ve had one of those. Each time teasing us that maybe we’ve solved the mystery planted by Davros in the series opener. But maybe Ashildr isn’t the hybrid we were looking for, is she? Even with the knowledge that she’ll be making a return later this series, she doesn’t seem to fit the bill for whatever it is that will complete this particular arc. And now I would venture that the same is probably true of Osgood. They’re both red herrings. The real hybrid will be something far worse. Does anyone else think that this heralded hybrid will turn out to have something to do with Clara? Oh, Clara my Clara, where do I even begin with you? It really hit me tonight just how small the number of times is that we have left to see Jenna Coleman’s name in the opening credits. It makes my heart hurt. What makes it hurt even more though, is how little Clara’s had to do so far this series. 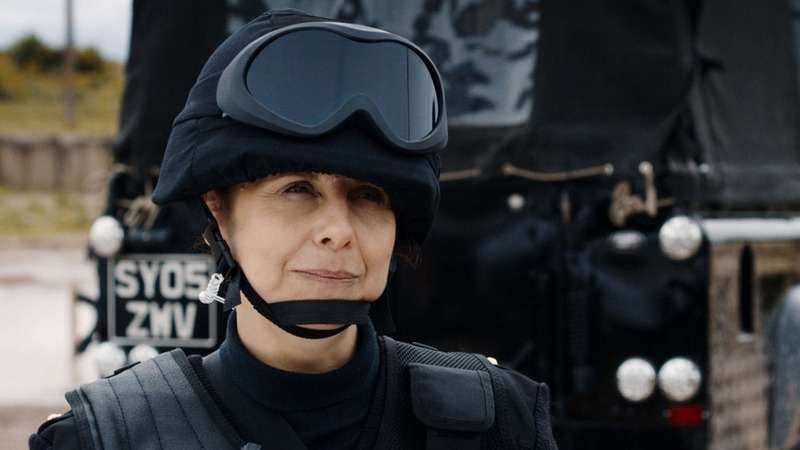 In the first two episodes, aside from a tiny handful of awesome moments, she was basically Missy’s prisoner and Dalek-encased pawn. In the third and fourth episodes, she exhibited all the erratic behavior of an adrenaline junky running from their past. Hence the Doctor basically telling her to stop because the TARDIS doesn’t have room for another him. Even so, she still gets very little to do because she’s trapped by the ghosts and really only manages to royally piss off Cass and offer a tiny scrap of sage advice to Bennett and remind us that, no, she hasn’t necessarily forgotten about Danny or anyone else she’s lost. In The Girl Who Died, she finally gets some actual screen time with the Doctor and their one heartbreaking scene (just before he remembers where his face is from) was almost enough to pacify me for her absence in The Woman Who Lived. Then, of course, when she did turn up at the end, she had to go and say basically the same thing that Rose did right before she became trapped in the parallel universe. We knew Clara was leaving, but did they have to go there? And now here we are at Episode Seven, and not only has Clara not done much onscreen yet this series, but she’s also not even bothering to answer her phone anymore. Fortunately, Zygon!Clara has it covered and kicks off the action for us. One thing I’m really tired of now is Clara’s newfound propensity for making awkward jokes. Yes, Oswin made them as well, but hers were at least funny. And Clara may have had one or two here and there between her days with the 11th Doctor and now, but suddenly it’s like she has several of them in every episode and they’re not really even funny. They feel out of character and pull me out of the story. Stop it. What’s even weirder is that it was actually Zygon!Clara that made them in this episode, and for some reason that seems even more strange to me. What I did think they got right with her in this one though, is the reveal that Clara isn’t actually Clara. I was surprised by this for about a millisecond but I thought Jenna played the scene so beautifully that not only did it make sense but I actually got excited about it. I’m glad that, especially given the lack of things she’s had to do so far this series (and with the clock ticking), she’s getting a chance to play with her range a bit. 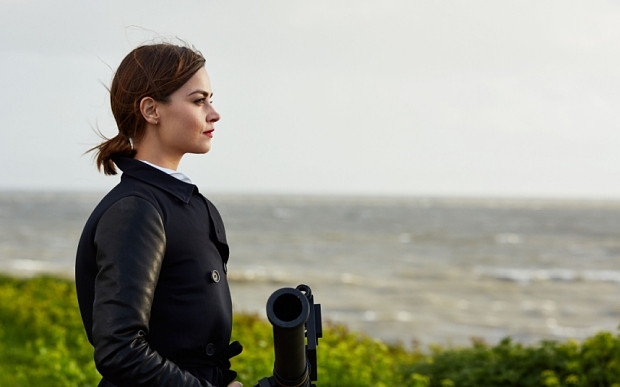 It’s no secret she’s a fantastic actress, so watching her play Clara as a rocket launcher wielding badass is amazing. I only wish it could explain the terrible jokes and her general weirdness this series. So what do you think, then? Another major cliffhanger. 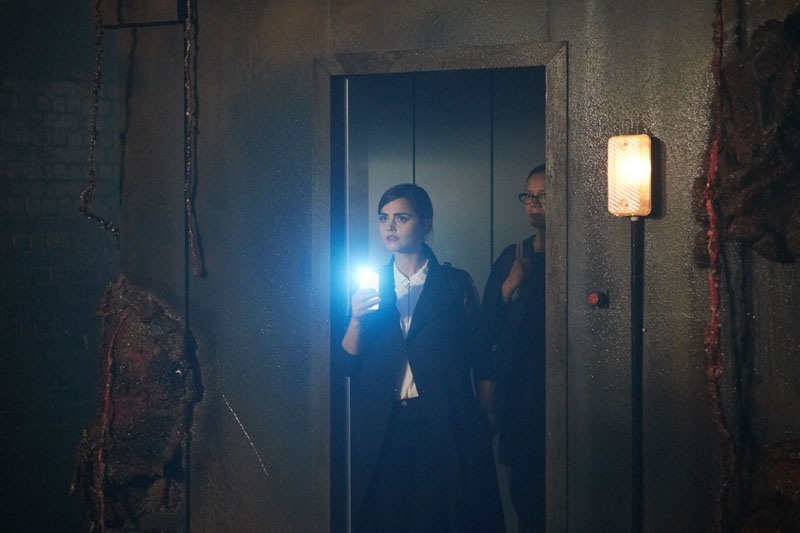 Is Clara really dead this time? Is Kate? Will we get to keep Osgood (whichever version she is)? 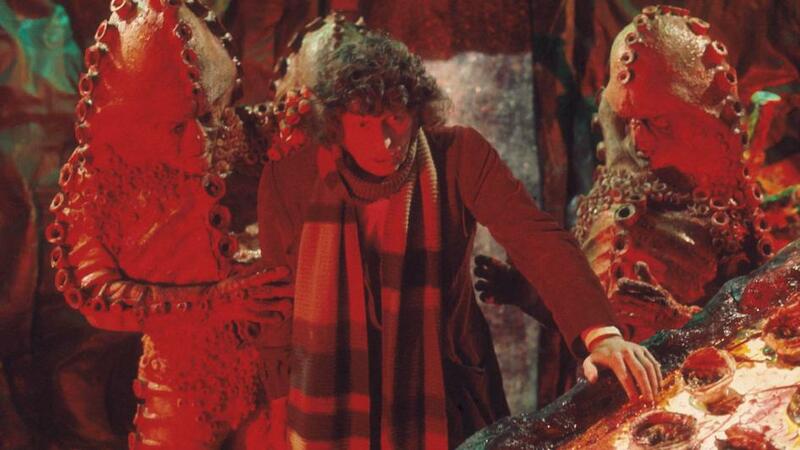 Are the Zygons new party tricks working for you? Is anyone else hoping the Skarasen turns up next week? We’d love to know what you think. Leave us a comment! * However, I’m STILL waiting for the same to be done with the Sea Devils. I will not rest until they are back on our screens. The ghost story was all fine and dandy but seriously, an underwater base? YOU HAD THE PERFECT CHANCE TO MAKE UP FOR WARRIORS OF THE DEEP AND YOU BLEW IT. ** Does anyone else think that the action figure is vastly different from what we saw on the screen? Maybe it’s just me, but I think the figure is a massive disappointment. Just saying. *** Just to be clear, I had no real problem with Danny Pink. I’ve been a fan of Samuel Anderson for ages and I loved having him on the show. I hated how his character was treated and I didn’t really think he and Clara were a good fit, but that doesn’t mean I didn’t actually like his character. But I also don’t want him to just be some weird combination of Rory (dying and coming back to life) and the duplicate 10th Doctor (a copy/clone created solely to give Rose a happily ever after). **** If you’re not familiar with Rebecca Front, you should be. Check out her work in Psychobitches (with Catherine Tate, Mark Gatiss, and Michelle Gomez, among others) and, of course, with Peter Capaldi in The Thick of It.